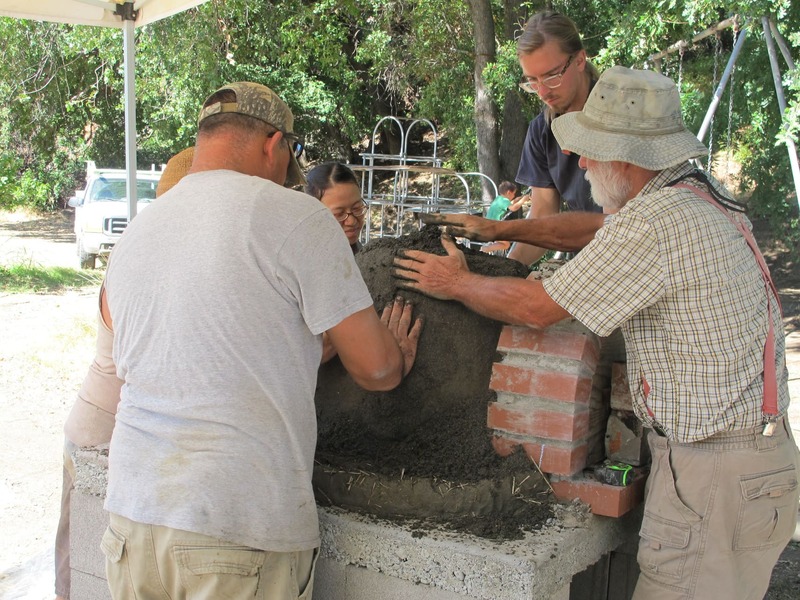 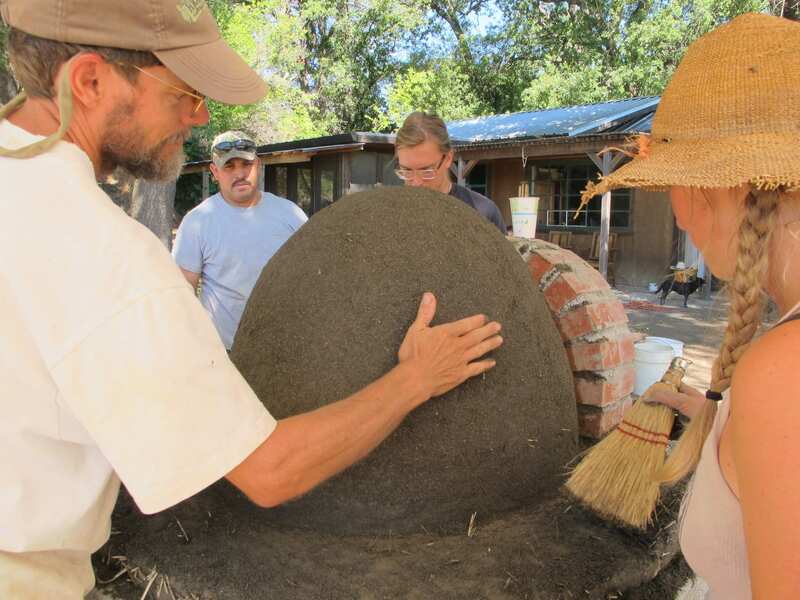 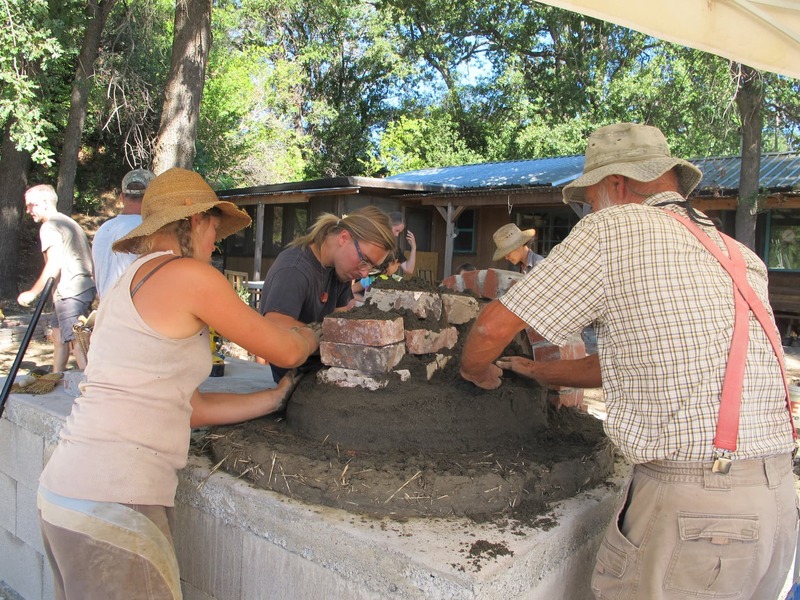 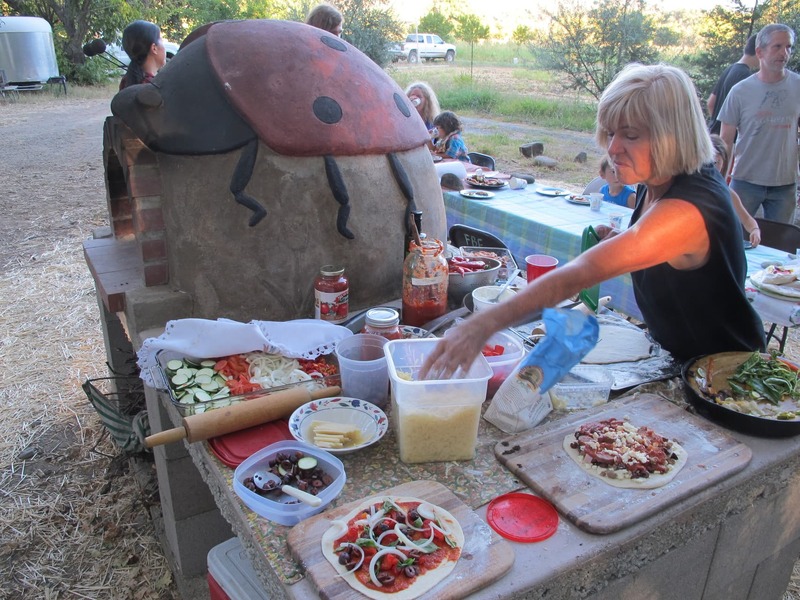 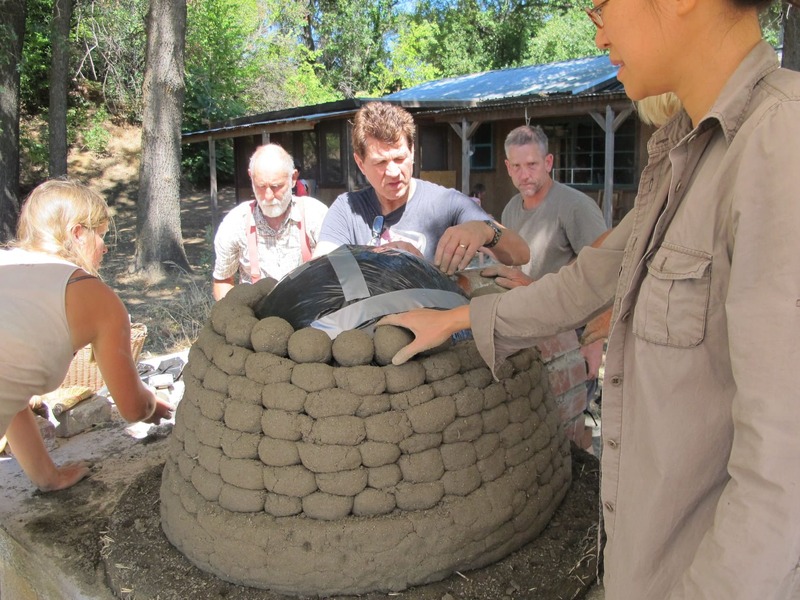 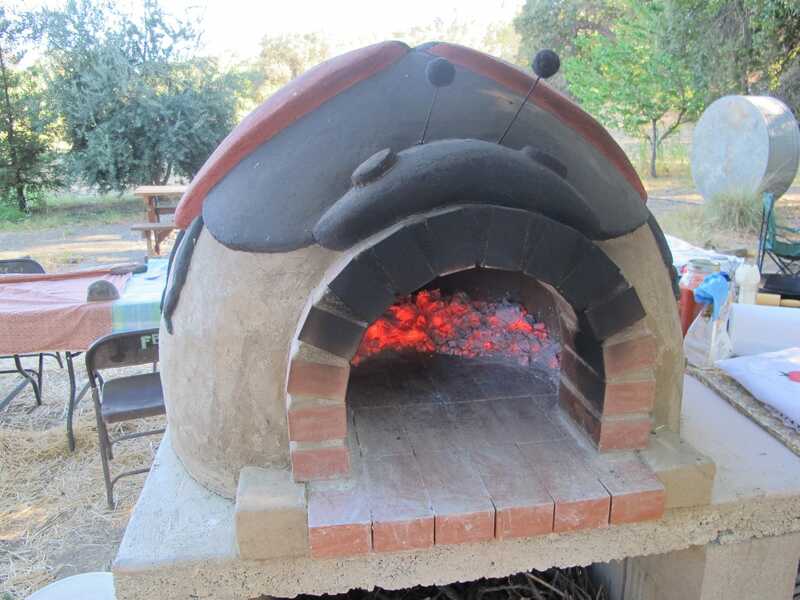 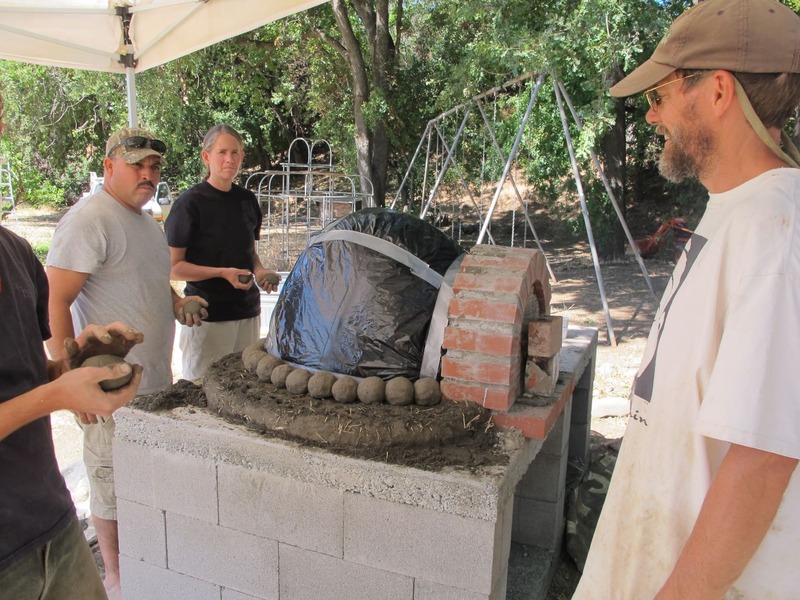 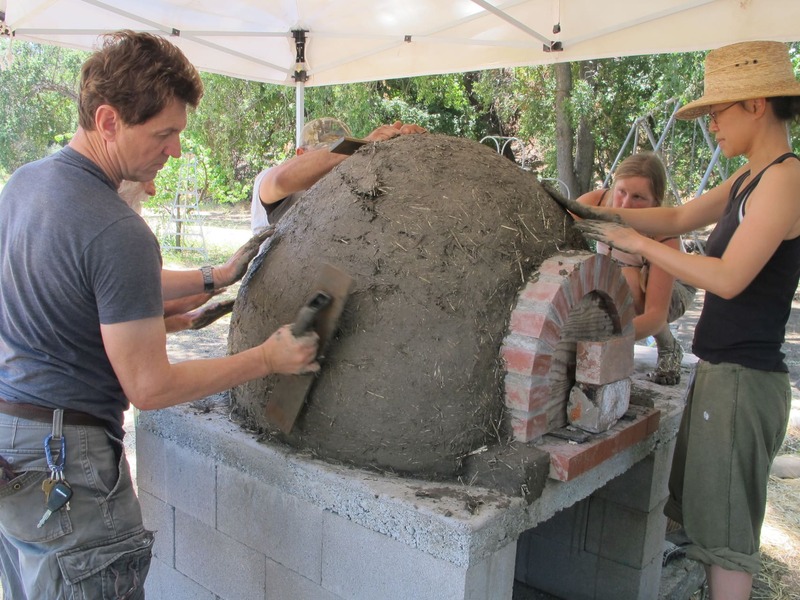 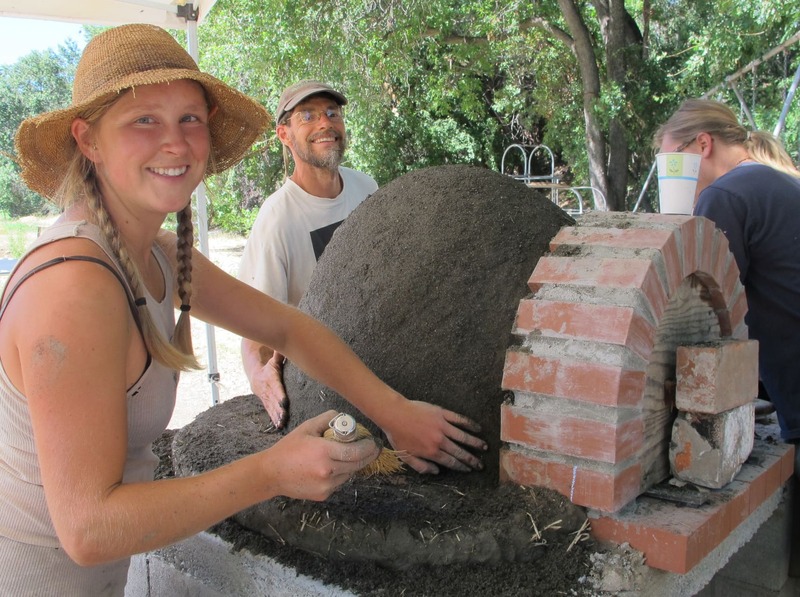 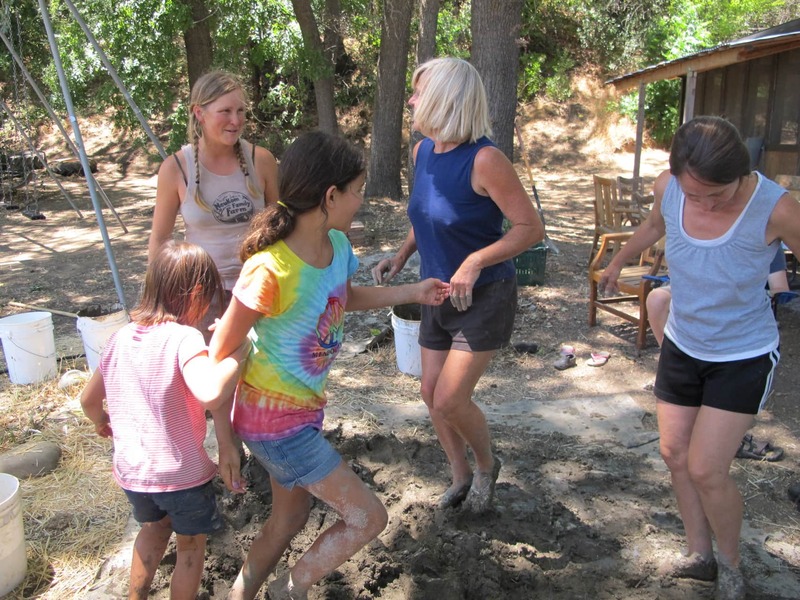 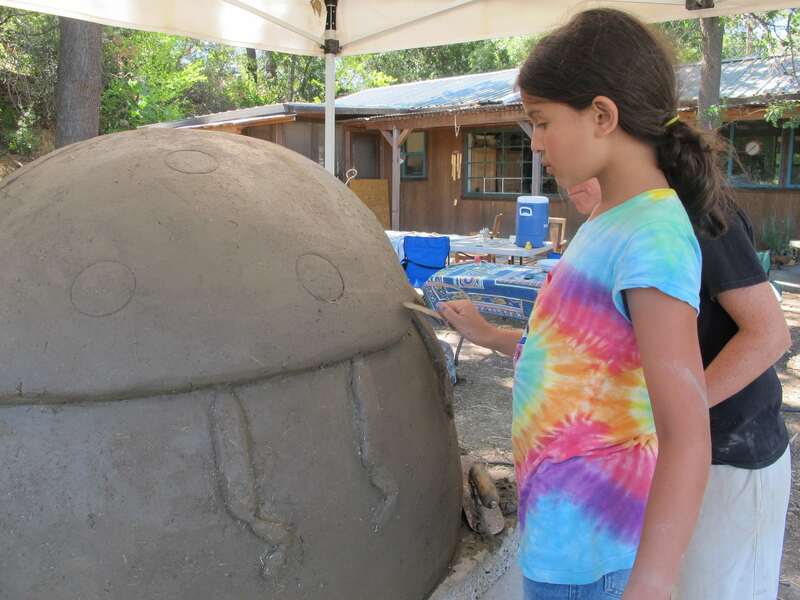 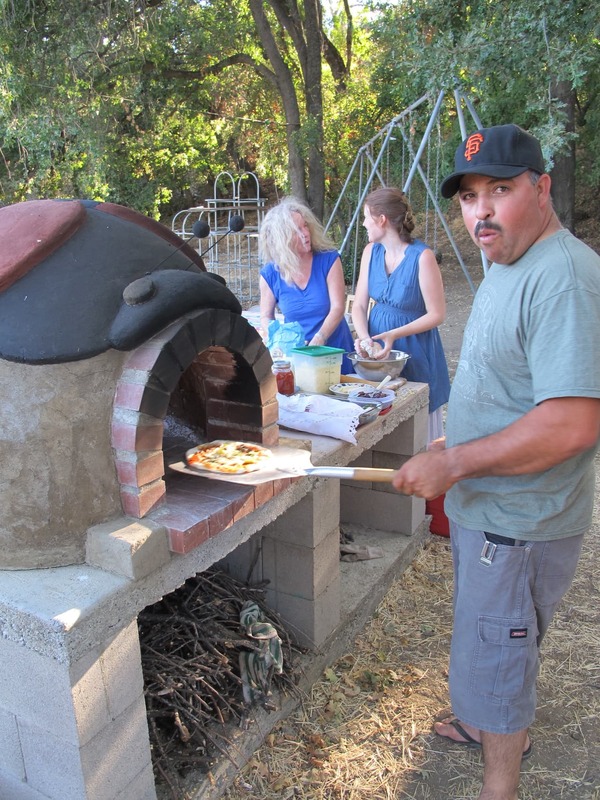 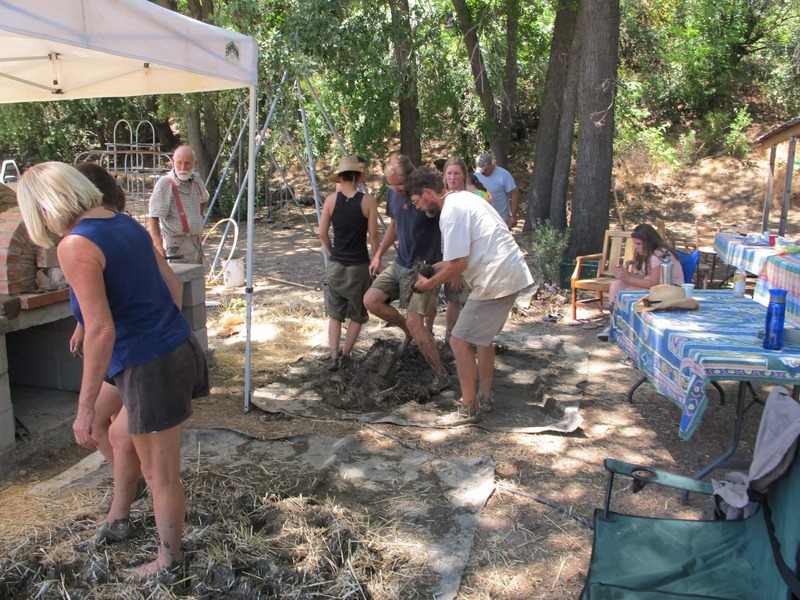 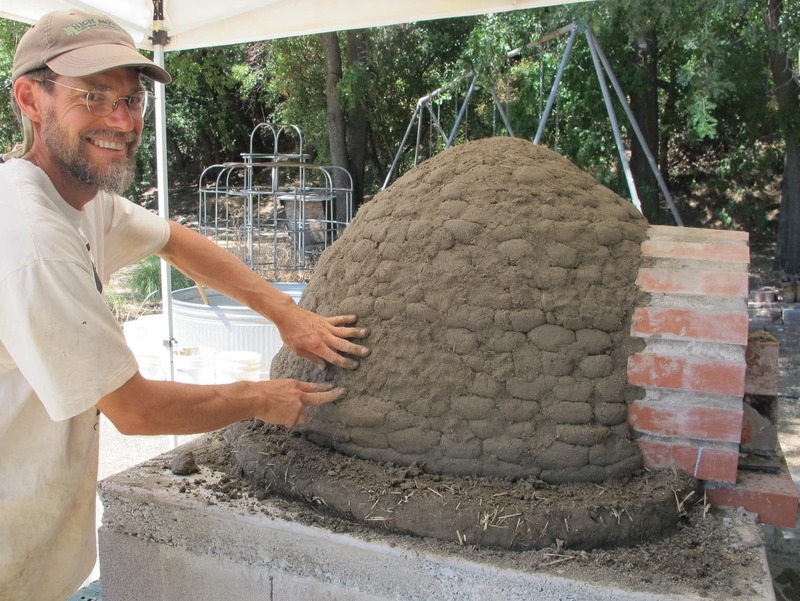 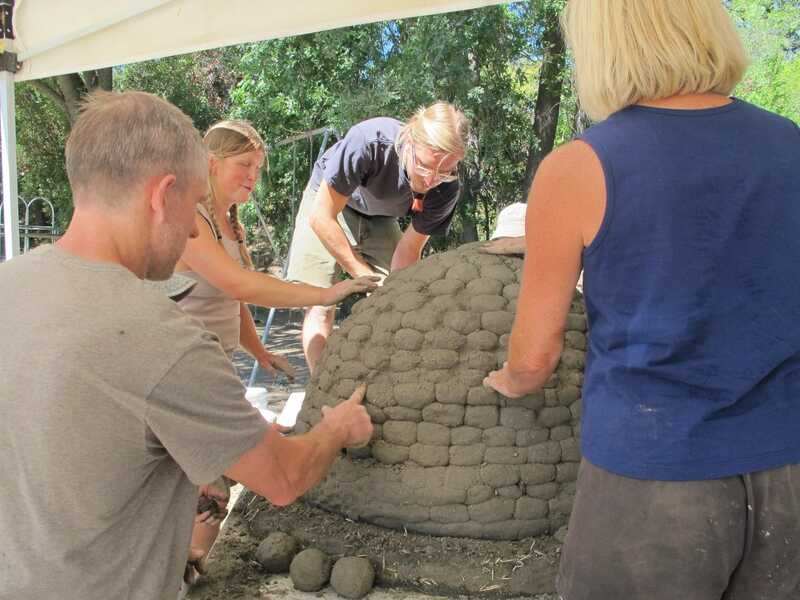 I helped my neighbor Nina build this earthen oven in the summer of 2013. 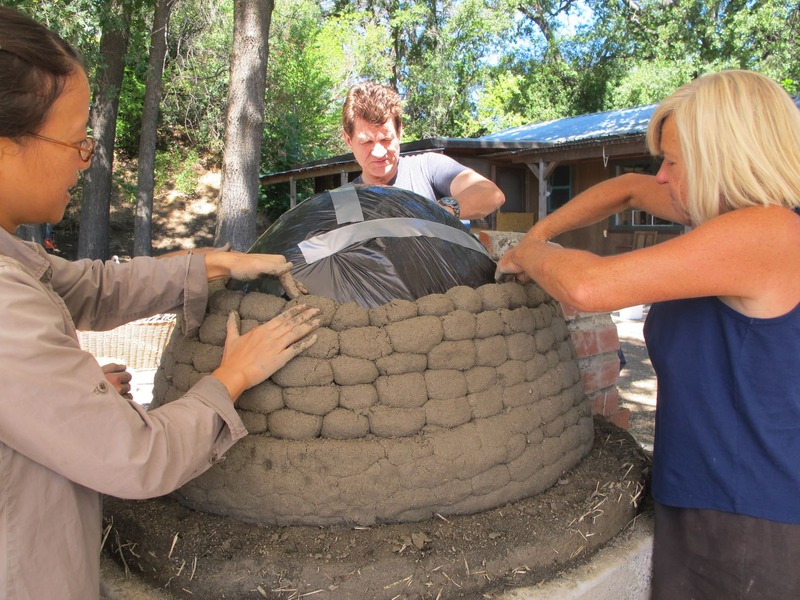 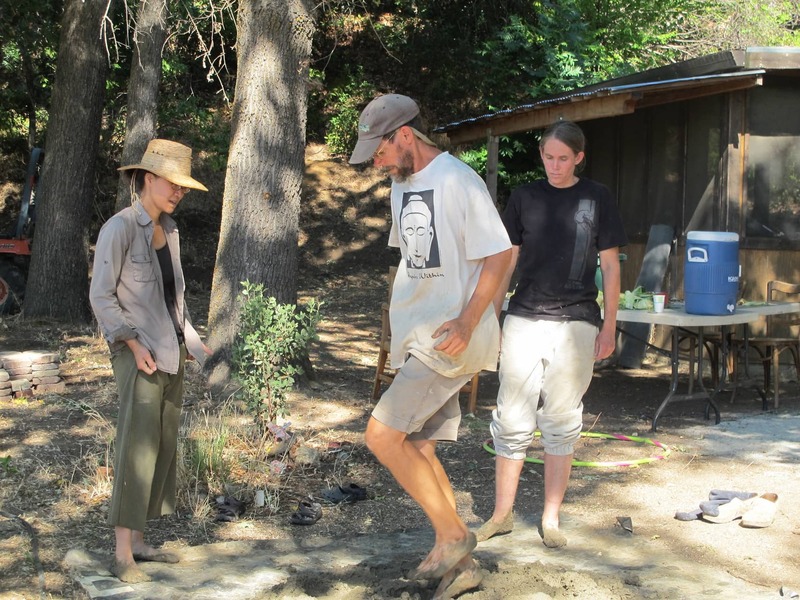 Nina built the foundation, gathered the materials, and later had a protective roof installed. 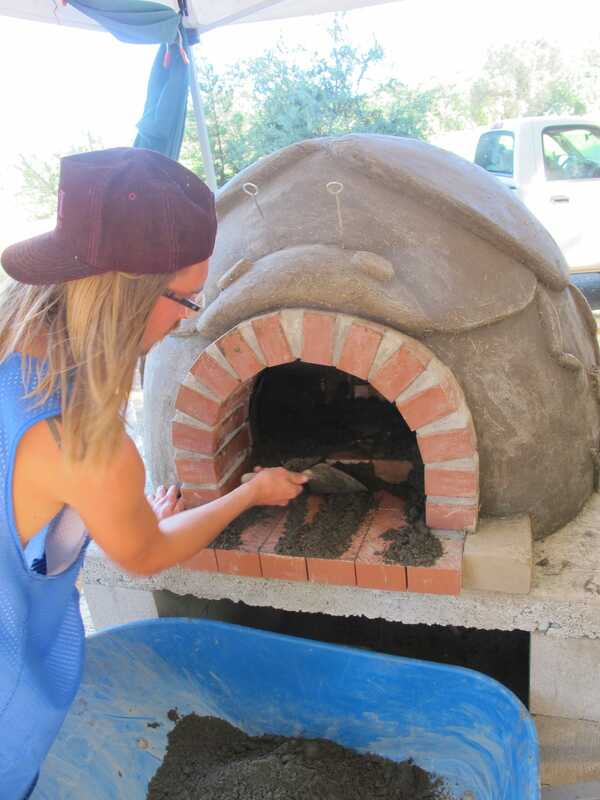 I did the brickwork for the oven floor and door, and then led a one-day work party to build the oven itself. 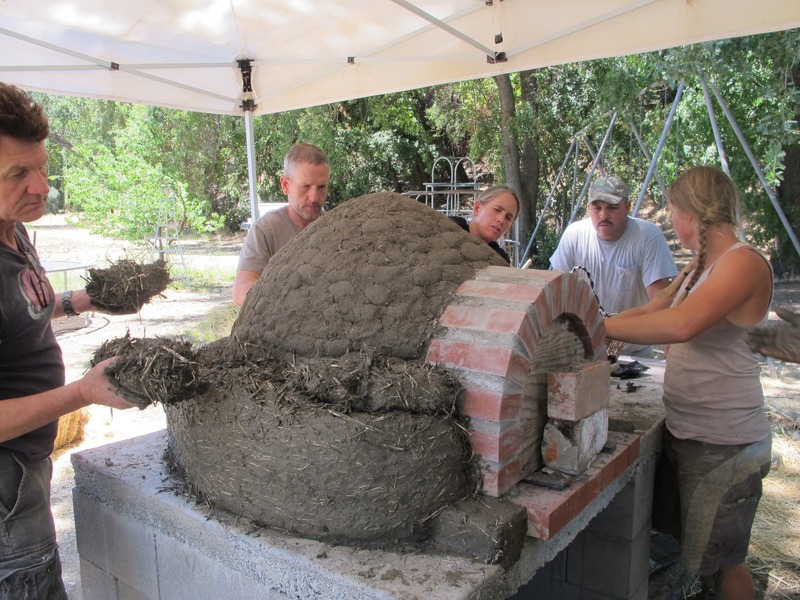 Getting a group of friends and neighbors together for a work party is a fun, easy and inexpensive way to get a lot of work done on a small building project like this one. 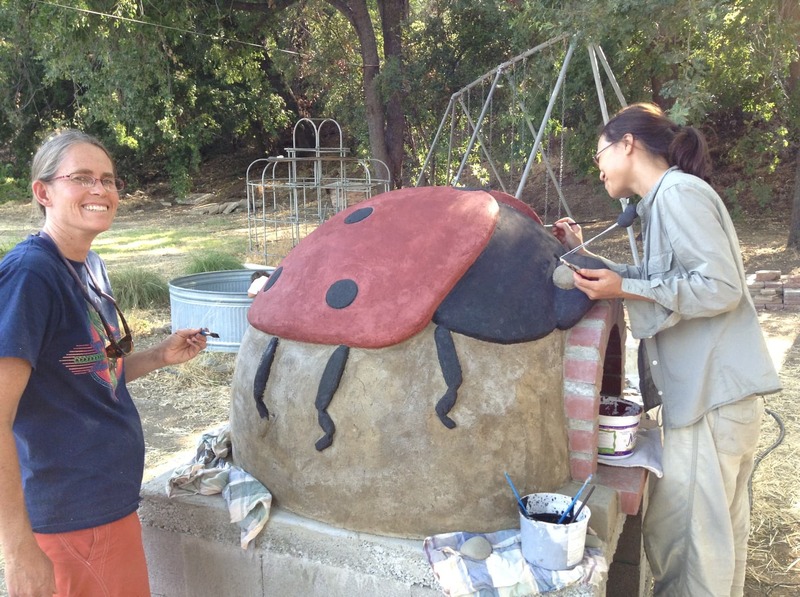 This oven was sculpted and painted with clay paints to resemble a bug. 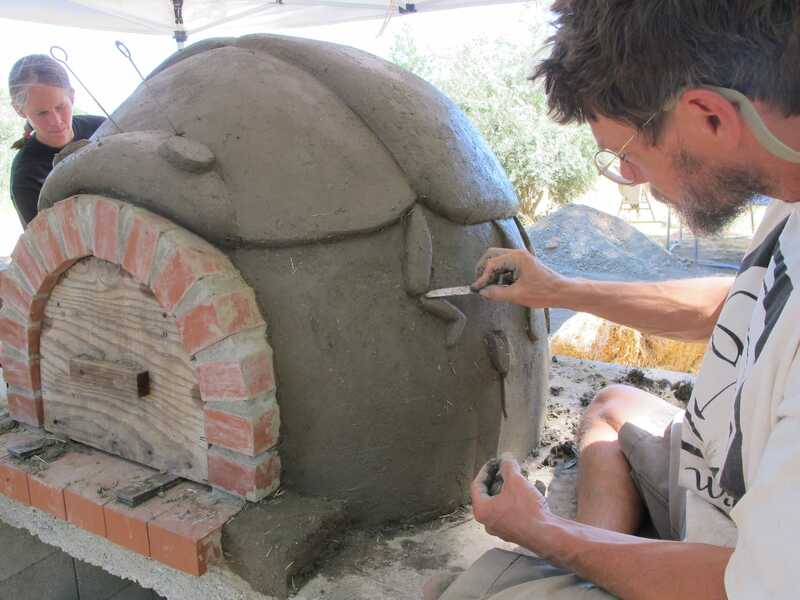 contact me if you want my help building an oven like this one.